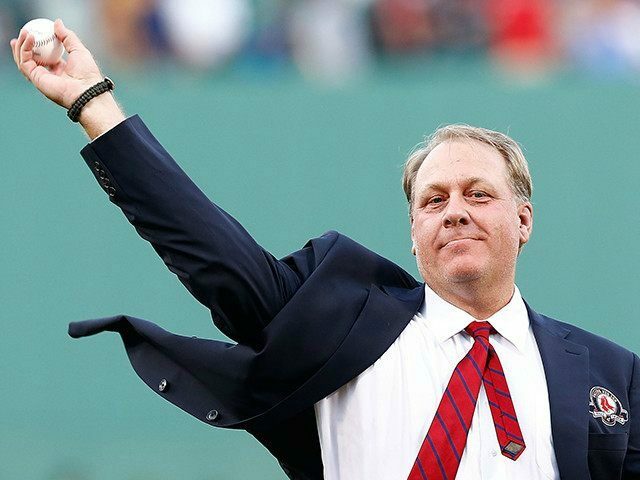 Schilling, who amassed over 200 major league wins in a career spanning 20 years, is set to hear whether he will win acceptance into baseball’s hallowed hall on Tuesday. Also up for induction are fellow baseball legends Barry Bonds and Roger Clemens. According to Yahoo! Sports’ Mike Oz, Schilling, along with Clemens and Bonds, should not expect to get approval from Hall of Fame voters this time around. Bonds and Clemens are similar to each other in the sense that both had their careers tainted by suspicion of steroid abuse. Schilling, however, was never tainted by suspicion of steroid abuse. Instead, the two-time World Series champion is facing resistance to his obviously deserving Hall of Fame career, based entirely on his political opinions. Schilling has been an outspoken advocate for conservative causes both before, and obviously during his time working for Breitbart. Following his MLB career, Schilling worked as an MLB analyst for ESPN. In April of 2016, Schilling was fired by ESPN for sharing a Facebook post in response to a North Carolina law which barred transgender people from using bathrooms and locker rooms that did not correlate with their assigned gender at birth. ESPN announced Schilling’s firing in a statement. Since that time, Schilling has continued to fight for the conservative causes he believes in while hosting The Curt Schilling Podcast, for Breitbart. Hall of Fame candidates must get 75% of the vote to win acceptance. According to Mike Oz, Clemens, Bonds, and Schilling, are all above 70%. All three players are also in their seventh year on the ballot, meaning they have three more years to attain the needed 75%.